I didn’t make any New Year resolutions this year. I never do. I just try to stay positive and plan for things I want to see happen, or not happen. Last week, however, I tried a new diet and it seems to fit into the New Year resolution category of eating better in 2018. I cut out sugar and processed wheat for a whopping 5 days! MAN, that was hard! I tried, I REALLY tried! I avoided temptation like a boss, even when my husband forgot to order my chili from Culver’s and brought me home a soda and some custard. I drank a lot of water. I ate a lot of eggs, oatmeal, and peanut butter. Friends who have similar diet restrictions lent their support and tips. (For that I am forever grateful [Wendy L.!!!]) I looked up recipes and was bombarded with what seemed like foreign food. I went through some lousy withdrawal symptoms and felt proud that I was detoxing for the greater good. In the end, the anxiety of not finding enough to eat, the constant feeling of not being satisfied after I ate, and not being able to think straight got to me. In the beginning, my thought was, “There will never be a “good” time to do this diet,” so I just started it. The fact is, I really need my brain to function at full capacity NOW. I will try again in the future. At the very least this was a great practice run. 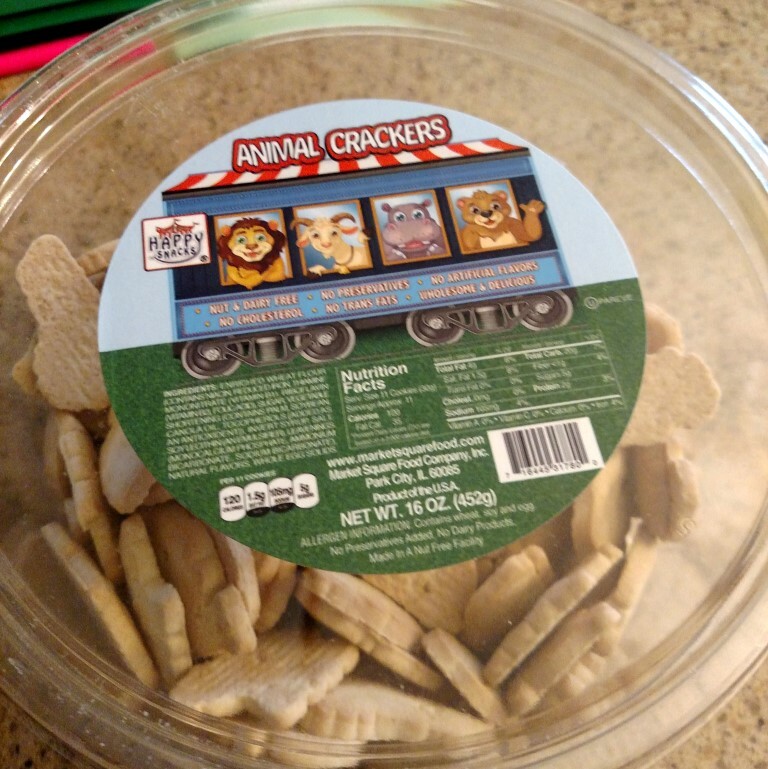 Animal Crackers – These were the first food I chowed down on after my “diet”. They were SO GOOD!! Did you have a New Year resolution? Are you still working on it, or have you called it quits? Let me know in the comments. So, that’s what I’ve been up to lately. Failing diets, sewing, and taking care of my loved ones, and watching some TV. There’s some more stuff, but I got to go sew some more stuff! Have a fantastic Wednesday, Everyone who reads my blog!! Previous Article Merry Christmas and Happy New Year 2018! !